Disorder and its Opposite, a recent addition to the comics blogosphere helmed by Ed Howard, starts out strong discussing the canon of American comic strips. Howard is both insightful and prolific as his other blog, Only the Cinema, shows. Lots of interesting writing on many a good film here. Recommended. Töpfferiana is a new blog on the comics of early modernity, reproducing interesting work from great cartoonists deserving of more attention. So far, proprietor Antoine Sausverd has posted work from Töpffer (obviously), Wilhelm Busch, Caran d’Ache, Alain Saint-Ogan and J. Blass. here’s hoping for much more in the future! 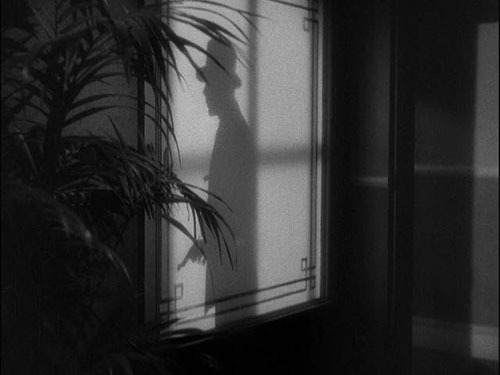 Image from Howard Hawks’ Scarface (1932), discussed by Howard on his blog.